STOCKHOLM - Saab has received a first payment from China's Zhejiang Youngman Lotus Automobile as it struggles to stay in business and faces a crucial court hearing on its future this week. "I can confirm a first payment from Youngman. Funding has come into Saab accounts," Eric Geers, Saab spokesman, said on Tuesday, declining to detail the amount. Swedish business daily Dagens Industri reported that Youngman, which wants to get a stake in Saab, has given the Swedish carmaker $5 million to cover immediate tax expenses. It said Youngman will pay a further 20 million euros ($26.43 million) to Saab on Wednesday to cover unpaid salaries and 10 million euros more before the end of December. Geers could not say whether more money was on the way but said discussions with Youngman had continued and that progress was being made. "Now, we are trying to work hard to pay salaries and to secure funding for salaries and keep the company in reorganization," he said. A court is due to decide on Friday whether to keep Saab in a scheme which grants it protection from creditors while it secures itself a stable future. The administrator overseeing the scheme for the court has applied to have it ended. Saab has been teetering on the edge of collapse since early this year when a cash crunch forced it to halt production. 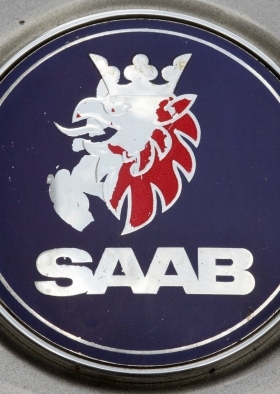 Last week, the company's administrator called on the court to end a period of creditor protection because Saab, owned by Dutch-listed Swedish Automobile, was out of money. Vanersborg District Court in west Sweden had given Saab and its creditors until Dec. 15 to submit their views on the administrator's request the period of creditor protection be terminated. A decision will come on Dec. 16. Ending protection from creditors would open the way for creditors to file for Saab's bankruptcy. The court already has one claim, which is under suspension. Swedish Automobile has forged a series of deals in a bid to save the carmaker, but former owner General Motors Co., which still owns licenses for Saab technology, vetoed the latest agreement with Chinese investors. Saab has not produced any cars for months as its main factory in Trollhattan, Sweden, has been shut due to unpaid bills. It also failed to pay salaries due on Nov. 25.